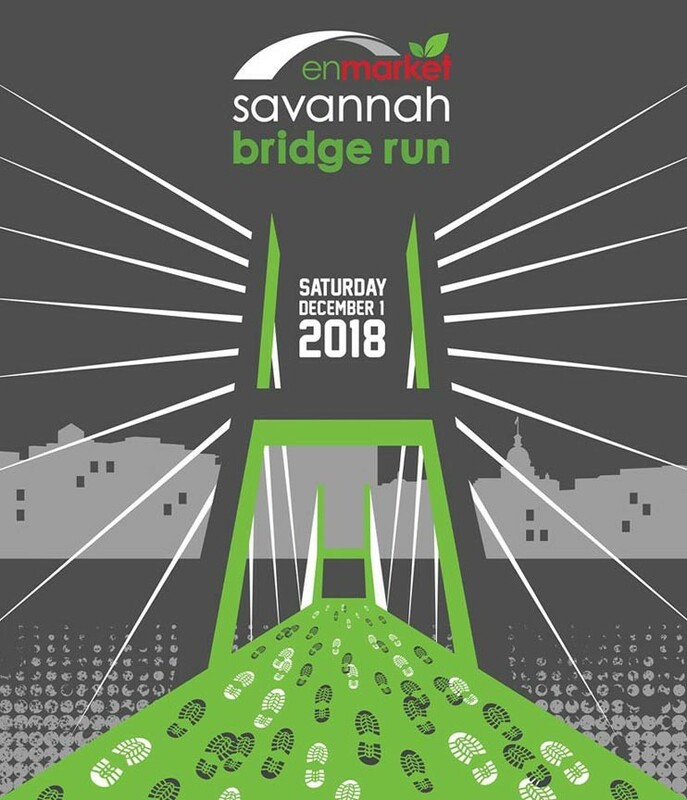 Come run, walk, or jog over the Savannah River on the Talmadge Bridge during the 27th annual enmarket Savannah Bridge Run: Saturday, December 1st, 2018! Savannah’s Talmadge Memorial Bridge is a 1.4 mile long cable-stayed bridge spanning the Savannah River between downtown Savannah and Hutchinson Island. The bridge has a 5.5% grade, peaks at 196 feet above the Savannah River, and has been home to “the South’s Toughest Bridge Run” for almost 30 years.